Apple might not incorporate its Face ID authentication technology in revamps of iPad and iPad mini rumored to launch in the coming months, according to new data pulled from the company's latest iOS 12.2 beta release. As noted in a tweet from developer Steve Troughton-Smith, the latest beta version of iOS references at least four new iPads and a potential seventh-generation iPod touch model identified as "iPod9,1." Notably, the iPad designations -- "iPad11,1," iPad11,2," "iPad11,3" and iPad11,4" -- relate to Wi-Fi and cellular models without Face ID, suggesting the hardware will continue to rely on Touch ID technology for user authentication. Consistent with existing hardware, the iPod touch model lacks mention of either Face ID or Touch ID. On Friday, model numbers for seven new iPad devices were outed in filings with the Eurasian Economic Commission (EEC). While not confirmed, the number groupings appear to point to at least two distinct device types, potentially hinting at a refresh to Apple's low-cost 9.7-inch iPad and a fifth-generation iPad mini. If today's iOS beta find is correct, Apple's next-generation iPad models could be limited to internal component upgrades and will not benefit from a full-fledged redesign. Currently, the iPad and iPad mini rely on Touch ID, a technology first introduced to the iPad line with iPad Air 2 and iPad mini 3 in 2014. Incorporation of the TrueDepth camera technology that underpins Face ID would necessitate a complete design, one that lops off the slates' "chin" region where the Touch ID home button currently lies. To maintain symmetry, that change would also require a deletion of the "forehead" section that hosts Apple's front-facing FaceTime HD camera. Apple's first and only tablets to sport Face ID debuted late last year in the 11- and 12.9-inch iPad Pros, both of which feature revamped chassis designs with largely symmetrical screen borders and no home button. The shift to Face ID, which embedded TrueDepth into the tablets' top bezel, allowed Apple to decrease the chassis size of the larger 12.9-inch model and increase screen real estate on the smaller model. Reports of a next-generation iPad mini circulated in December suggested the upcoming device would be positioned as an affordable entry-level model, in line with today's Touch ID findings. The smallest of Apple's tablets, iPad mini has not received a refresh since 2015. The sixth-generation 9.7-inch iPad is almost due for a refresh, having debuted at a special education-focused event in March of 2018. As for iPod touch, many expected Apple to kill off the line as the dedicated music player's popularity slumped, and its feature set rendered redundant by booming iPhone sales. The sixth-generation iPod touch launched in 2015. I don’t expect iPad Pro features on the new mini, including FaceID, USB-C and wireless charging Pencil 2. That’s a $599 mini. I think it will either be 1) a smaller/ less expensive version of the $329 2018 iPad (including Pencil 1 support) with non-laminated screen at $249-279; or 2) a simple spec update refresh of the current design, at about the same $399/128 GB price. Processor will be at least A10, probably 3GB. I just want an up spec mini in the same form. Bring it on. Looks like I’ll be keeping my Air 2 for another year then. You have got to be kidding me! It is time for TouchID and Home Buttons to die! Which is exactly why they still appear on the low end devices. The iPad Mini better come with laminated, anti-glare screen!!! ...don’t care about Face ID, Touch ID is fine. So that single model number perhaps refers to iPod Touch? ipod Touch & iPad Mini both have A8 processors, 2018 iPad A10, what are your guesses on new processor? i think the iPad 9.7, iPad Mini 5th gen., and iPod touch will all have A11...thoughts? 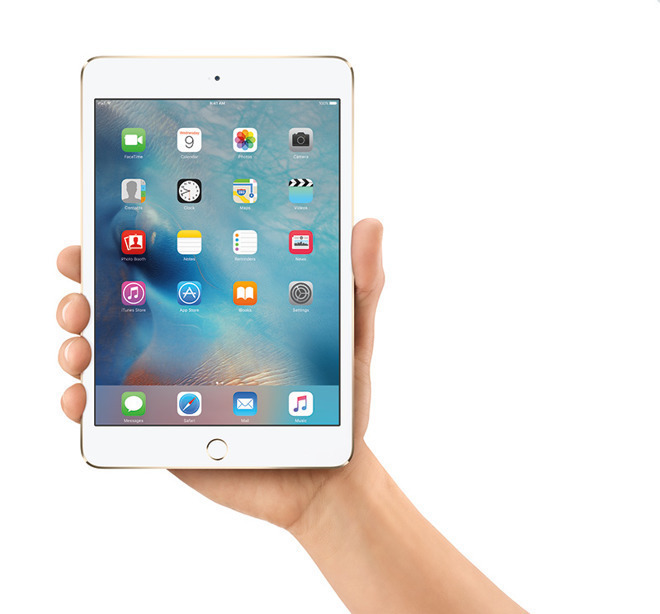 Own the iPad mini 4. If the mini 5 comes with just processor update and Apple Pencil support, it will not be compelling enough for me to update for my use. Basicall reading and checking emails. I went from iPad mini 4 to iPad Pro 9.7...you’d be surprised how much faster the A9X or A10 (or better) processor makes the iPad over the A8 in the Mini 4...and surely they’ll have A11 or A12 in 5th gen. I found I used my (older) Mac less and my iPad more, just for general tasks, not specialized apps...and then you can do so much more with apps also. I’d jump on an iPad Mini with A11 or newer processor (with laminated anti-glare screen). I prefer the surety of both over the uncertainty of Face ID. The iPad 6th Generation was released with the A10 SoC. When it was released, the iPad Pros (10.5" & 12.9") at that time had the A10X SoC. The current iPad Pros have the A12X SoC. So assuming that trend continues, the iPad 7th Generation should have the A12 SoC that's in the iPhone XR. And if the iPad mini does get Pencil support, then I would go as far as to say that it too will get the A12 SoC. This slow adoption of new features - and the lack of consistency across the product line - is just as incredible as inexcusable for a (former) largest company on the planet. What’s the future of 3DTouch, TouchBar, FaceID and other hw “innovations” if not consistently applied and supported in software. Why does it take 34 iOS/MacOS revisions to do so ? Get rid of these old designs - instead of asking premium prices for it - this bezel tragedy is taking too long. My experience has been exactly the opposite, with Face Id being amazingly reliable, with or without glasses, sunglasses, off-center, phone flat on table, changes in facial hair, wearing hats, etc. Touch ID seems much more finicky with more misreads. I think some of it has to do with the actual device. I'm using Face Id with iPhone XS Max and it's freakishly fast and reliable. I do have to say that Touch ID on the newer devices like iPad Pros does work very well indeed with fewer misses than on my old iPhone 6+. On the Mac side of things I'd actually prefer that Apple make an initial effort to put a variation of Touch ID in the trackpad, both the integrated version and the standalone Magic TrackPad. This would allow older devices and Mac Mini to incorporate better authentication capabilities. I guess you could also envision an external camera that integrates Face ID to allow support for older devices and Mac Mini. In any case, I'd like to see Apple continue to evolve both technologies because each one has merit and is better suited for certain applications. For the ultra security conscious, using both technologies together in a layered fashion is not out of the question. Additionally, if Apple evolves Face ID and Touch ID in ways that allow these technologies to be hosted as a blackbox/secure enclave capability in other devices and platforms there is no reason why it could not be incorporated in other devices including ATMs, pin pad devices, security screening checkpoints, home security panels, etc. Just as an example, if your automobile or motorcycle had a Touch ID or Face ID reader mounted in it (or on it - perhaps as an intelligent rear view mirror/display) Apple could come up with easier ways to use Apple Pay within Apple CarPlay to pay for highway, ferry, and bridge tolls, parking garages, drive through restaurants, etc., without having to whip out your phone or hang your arm with Apple watch on it out the window. I’m down for a new iPod Touch but only if it has an all-screen design ala the iPhone XR. Add to that 32GB storage as base, an A10x or A11 processor, same look/physical dimensions as the last gen iPod Touch for a starting price of $199-$249. If all you use it for is reading and checking e-mail, then what new features would compel you to upgrade, if not processor speed? I suppose it depends on if Apple sees the mini as their low priced offering (I.e. starting at $249). Thank goodness. I love Touch ID and am glad it will stay on the next iPads. I also love Touch ID on my iPhone 8. In fact, I like it so much I refuse to buy an iPhone without it. I did did try an iPhone XR for 10 days but swapped it back for an 8 because I missed Touch ID. I also worry about the safety of Face ID and beaming infrared laser spots into my retina tens of thousands of times a year. Hey, I don't care *why* they are there, but they'll be better for it. If Apple want's to differentiate 'lower end' devices with Touch ID, then I'll be a lower-end guy. This slow adoption of new features - and the lack of consistency across the product line - is just as incredible as inexcusable for a (former) largest company on the planet. What’s the future of 3DTouch, TouchBar, FaceID and other hw “innovations” if not consistently applied and supported in software. One could hope such 'innovations' die get corrected and reverted, but I don't think I should get my hopes up that much. I guess you could also envision an external camera that integrates Face ID to allow support for older devices and Mac Mini. In any case, I'd like to see Apple continue to evolve both technologies because each one has merit and is better suited for certain applications. IMO, Touch ID is much easier to keep consistent across platforms and use-cases. Unless they are going to incorporate some kind of special 'fish-eye' cameras, projectors, and sensors, Face ID isn't flexible enough. Plus, just from a security standpoint, I like that I at least would have to be forced to put my finger on the sensor. Face ID is too easy to unlock. What data says there won’t be faceID on these new models? Best data I’ve seen is model numbers. How does that tell us there is no faceID?